Here for whatever dream you're working on. As a college student, grad student or recent graduate juggling work, school, and life, you're eligible for the GM College Discount - helping you save hundreds, even thousands, on eligible, new Chevrolet, Buick and GMC vehicles. Combine your discount with most current offers for an even better offer. See if you qualify for special savings. Look here first for how to save more. Get all the details about your discount. Who is eligible for the GM College Discount? Recent college graduates (who have graduated no more than two years ago), graduate students, and college students from any two- or four-year school. Which vehicles are eligible for the GM College Discount? Many new and unused 2018 and 2019 GM cars; SUVs; crossovers; midsize, light-duty and HD pickup trucks; and passenger and cargo vans are eligible. Vehicle eligibility may change over time, so check before you buy. The GM College Discount allows recent college graduates (who have graduated no more than two years ago), graduate students, and college students from any two- or four-year school to purchase or lease eligible, new 2018, 2017 or 2016 Chevrolet, Buick and GMC vehicles at a special discounted price below MSRP. Plus, you can combine the discount with most current offers to save even more. When you build a vehicle to your exact specifications on this site, you can view MSRP and the GM College Discount price - simply follow the prompts. Which GM vehicles are eligible? Many new and unused 2018, 2017 and 2016 GM cars; SUVs; crossovers; midsize, light-duty and HD pickup trucks; and passenger and cargo vans are eligible. How many vehicles am I eligible to purchase/lease? 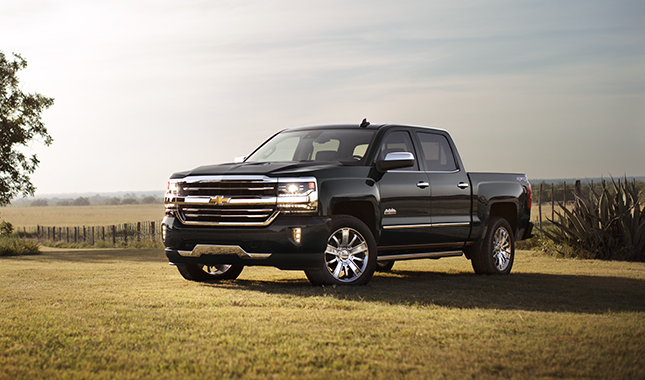 You may purchase/lease up to two (2) eligible, new and unused vehicles per year with the GM College Discount. Can I share my GM College Discount? No; however, vehicles can be co-titled. How long do I have to keep a vehicle to qualify for the GM College Discount? Vehicles must be retained for a minimum of six (6) months from the vehicle delivery date. I recently bought/leased a new GM vehicle. Can I still apply for the GM College Discount? Does my authorization number expire? Authorization numbers are valid for 90 days toward the purchase or lease of an eligible, new vehicle. You must take delivery of the vehicle prior to the authorization number expiring. What happens to my authorization number if I don't use it before it expires? If you don't use your authorization number prior to the expiration date, the authorization will be added back into your account. To purchase or lease, you will have to obtain a new authorization number by following the prompts in the Programs menu. Who is eligible to participate in the GM College Discount Program? A diploma dated no more than two years before the vehicle purchase or lease, from a four-year bachelor's degree, a two-year associate degree or a graduate degree program. Can I combine the GM College Discount with current offers? In most cases, yes. See "New Offers" on this site. Can I combine this discount with the GM Mobility Program? Yes, the GM College Discount can be combined with GM Mobility reimbursements. Can I combine this discount with Earnings from any GM Rewards Card? You can combine the GM College Discount with Earnings from any one of the GM Rewards Cards. Earnings from the GM Rewards Cards are in addition to most current incentives GM may offer. You can also visit buypowercard.com for more information. Do I have to purchase or lease through GM Financial? No. You can purchase or lease through any financial institution. However, some APR offers are exclusive to specific financial institutions. Your dealership will be able to provide details on the down payment for your chosen vehicle. Can I receive this discount from any GM Dealer? This program is available through all participating U.S. GM Dealers and is voluntary on the part of the dealers. Dealer participation is on a vehicle line basis. Please inform your dealer of your intention to use the GM College Discount during your first contact with your dealer. 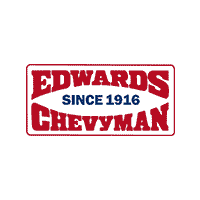 Can I order a vehicle through this program, rather than choosing one from my GM Dealer's inventory? Yes, you can receive the discount when you order through a participating GM Dealer. No. Any additional dealer-installed options, conversion/upfit packages, extended warranties and other extra-charge items will be supplied at a price agreed upon between the customer and the dealer. Are dealer demonstration vehicles included in this program? Yes, if the vehicle has fewer than 7,500 miles and a dealer demo allowance has not been paid on the vehicle. See your participating dealer for details. Please contact your nearest dealership for more information about trade-ins. How can I find out more about a specific GM model? Questions about vehicle features, pricing, model eligibility, and current offers should be directed to a participating GM Dealer. You can also visit gm.com for more information on a specific vehicle. By purchasing or leasing a vehicle through The Program, The Participant acknowledges these Rules and Guidelines and agrees to abide by them. It is the responsibility of The Participant to know the rules of The Program as set forth in this document. Violations of these rules by The Participant may result in sanctions against the Participant. The Program may be withdrawn at any time, and its terms are subject to change from time to time by General Motors (GM). Final decisions in all matters relating to the interpretation of any rule or phrase of this activity rest solely with General Motors. The Program cannot be applied to a prior purchase or lease. College students (from any two- or four-year school), current nursing school and graduate students and recent graduates (graduated within the last two years). Evidence of enrollment in an associate, undergraduate, nursing or graduate degree program. A diploma, dated no more than two years before the vehicle purchase or lease date, from a four-year bachelor's degree, a registered nursing degree, or a two-year associate or graduate degree program. General Motors reserves the right to audit dealership records and disqualify any sales that do not meet The Program guidelines. Any money improperly paid to any party based upon the dealers' or Participants' representation shall be charged back accordingly. The sale of any vehicle purchase program authorization numbers, or other unauthorized use of such numbers, is prohibited. Participants (as defined in the Eligibility section) who violate this provision will be suspended from The Program for five (5) years per violation and will be required to repay the incentive monies. Subsequent violations of this rule may result in permanent suspension from The Program. Participants may purchase or lease a cumulative total of two (2) vehicles per calendar year under The Program. Authorization numbers are valid for 90 days toward the purchase or lease of an eligible vehicle at The Program price. To see a list of eligible vehicles, visit gmcollegediscount.com and select "Vehicles" on the home page. Some models may have limited availability. Eligibility of GM vehicles may change at any time without notice. Participants must be eligible to participate throughout the entire purchase process, i.e., on the date the process is started through the date of the vehicle delivery. If purchasing or leasing a vehicle under The Program with cash or through a loan, ownership must be retained for at least six (6) months from the date of delivery of the vehicle. GM reserves the right to modify the retention rules at any time. Retention periods for some vehicles may be different than the retention period referenced in previous versions of the Rules and Guidelines. A vehicle purchased/leased under The Program must be used for the personal, noncommercial use/transportation of the Participant. It is prohibited under The Program to purchase/lease and register/title a vehicle and then surrender the vehicle for part or all of the required retention period to any other person. In addition, it is prohibited under The Program to purchase/lease a vehicle for commercial use or to title in a business name. Vehicles purchased under The Program must be registered, licensed, titled, insured and owned by the Participant. Vehicles may also be titled in the name of a living trust that bears the name of the Participant. If any one of these requirements is not met, unless compliance is not possible under state law, the vehicle may not be co-titled in the name of a non-eligible person. Participants shall not solicit or accept money or discounts from dealers, other persons or other business entities, except GM-sponsored incentives, in connection with the sale of vehicles under The Program. At no time should a Participant accept payment or other consideration from dealers for referrals. Participants may accept inducements of nominal value, up to $50, provided the inducements are offered to the general public and are noncash in nature, such as a free first oil change. This prohibition does not apply to a fuel fill if provided by the dealer at the time of delivery. Included in required paperwork at the dealership is the GM Vehicle Purchase Customer-Dealer Agreement and Pricing Sheet. This should be reviewed and, once complete, signed by The Purchaser. DO NOT SIGN the agreement if it is blank or The Program price from the invoice is not shown. If you have any questions or concerns regarding your purchase or lease, clarify them with your participating dealer BEFORE closing the transaction. The GM Vehicle Purchase Customer-Dealer Agreement and Pricing Sheet must be signed prior to the completion of the deal. Your dealership charges all customers the same documentation fee (excluding customers purchasing under the GM Employee, Military, Executive Referral and Dealership Employee programs). If the dealer you visit is not willing to sell you a vehicle at The Program price, you may visit another GM Dealer. Dealer participation is voluntary. Dealers are not required to participate in the GM College Discount Program. To determine a dealer's willingness to sell vehicles under The Program, you must speak with the dealer directly. During the initial dealer inventory buildup when new models are introduced, and from time to time thereafter, it may be necessary for GM to restrict purchase under The Program on certain models. Please go to gmcollegediscount.com to see a list of eligible vehicles. The Program does not constitute an agreement between GM and The Participant for the purchase/lease of any vehicle at a specific price. However, by purchasing a vehicle through The Program, The Participant acknowledges The Program's Rules and Guidelines and agrees to abide by the same program Rules and Guidelines. General Motors may unilaterally modify, change or withdraw The Program at any time. Participants are required to report any unauthorized use immediately. Those who do not report any suspicious or unauthorized use of authorization numbers after they have been submitted on their behalf may be subject to the sanctions referenced in The Program Rules section. Failure to comply with an audit request may subject The Participant to the consequences referenced in The Program Rules section. General Motors has the final decision on all eligibility requirements. The Rules and Guidelines of The Program may be modified by GM at any time, in its sole discretion. If any law or regulation is adopted or interpreted which, in GM's opinion, prohibits or penalizes the implementation of The Program, GM may, in its sole discretion, cancel The Program or any order submitted pursuant to The Program without any further obligation and without any liability to either the dealer or The Participant. The marks of General Motors, its divisions, slogans, emblems, vehicle model names, vehicle body designs and other marks appearing in this document are the trademarks and/or service marks of General Motors, its subsidiaries, affiliates or licensors. ©2017 General Motors. Buckle up, America!